Meryl you are a witch??? 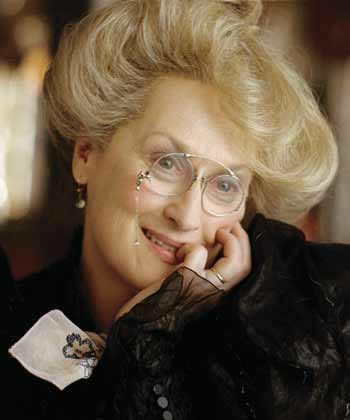 No I am not complaining about my disappointment in Meryl Streep’s Oscar win last week for “The Iron Lady“. This post is much more of a delight. Meryl Streep is rumoured to be cast as the Witch in a film adaptation of Stephen Sondheim’s Broadway musical “Into The Woods”. The film is to be directed by Rob Marshall who brought “Chicago” to the screens successfully (in box office terms-not artistic) but we must remember he is also responsible for bringing “Nine” to the screen which was a disaster (box office and artistically!) I do love his TV remake of “Annie” that was a success in my own opinion. But there is more rumour-mongering about Meryl as the Witch….. The Public Theatre’s Shakespeare In The Park Festival are mounting an outdoor production of the Sondheim musical this July and rumoured to play the Witch is none other than the reigning Oscar Queen Meryl. Is this an audition? 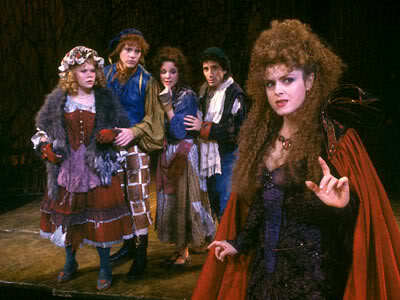 Brilliant Bernadette Peters – the original Witch of the woods. 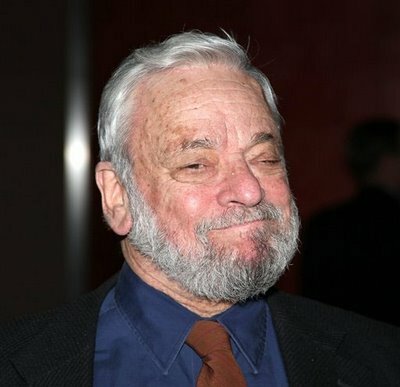 Sondheim has announced that he is collaborating on a new musical with playwright David Ives who is currently represented on Broadway with the hit show “Venus In Fur” – of which Babs has on his list of “shows to see” when he is in town in May. Who cares? Any thought of another Sondheim musical certainly gets my muscles into action. I am so excited about this. Nina Arianda & Hugh Dancy star in David Ive’s “Venus In Fur”.